Although we live in a highly industrialized world, as humans, we still love to be in tough with nature. It is amazing how a lush green surrounding can help us to ease the pressure and calm down our busy minds. Having an evergreen turf at your property is only a dream for many people because of various reasons. However, as a solution for this, you can now opt for an artificial grass turf as a significant value addition to your property. For many people, growing a natural grass turf in San Fernando Valley is a tough task considering the lifestyle they live today. A natural turf is not something you can achieve within a day or two; from the point of selecting the right kind of seed, you should be prepared to water it, treat it and protect it from extreme weather conditions. Therefore many people tend to renounce their desire for a greener turf. The difficulty of growing and maintaining a natural turf has encouraged people to invent a replacement, artificial grass turfs! 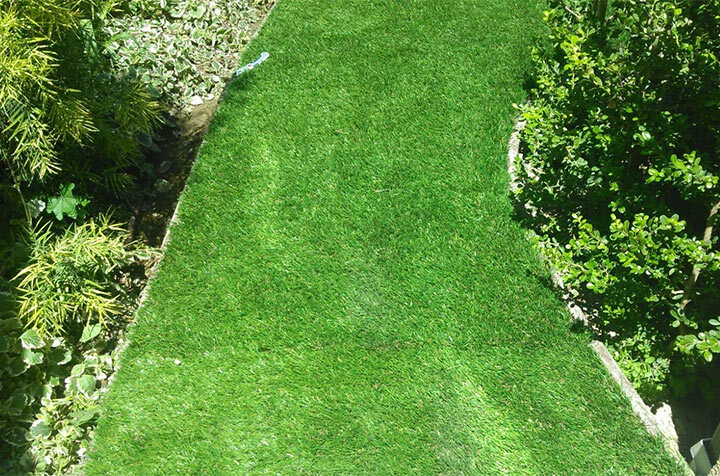 Compared to the natural variety, artificial grass is associated with a range of benefits. Let’s see why artificial grass has become an excellent alternative in the modern world. No water is required When using artificial grass, you are relieved from the responsibility of watering (artificial grass doesn’t require water). No lawn moving You don’t want to worry about lawn moving as artificial grass turf maintains its shape during its lifespan. No infections Artificial grass doesn’t get infected as they resist pests and other microorganisms. It has the natural appearance Once laid properly, they look just like natural grass; no one can tell them apart! Apart from that, if necessary, they can be used indoors too (since you don’t have to water them, they can be used indoors pretty easily). Even after a heavy rain, you don’t need to worry about the lifespan of the artificial grass. Once they are exposed to sunlight, dampness will quickly vanished. Considering all the facts mentioned above, artificial grass can be emphasized as the most effective and affordable solutions for those who want a beautiful turf at your property. Make sure that you perform some research and reach a well experienced and industry reputed landscaping service provider for a great ROI. How to get an artificial grass turf for a property in San Fernando Valley? Well, if your property is located in San Fernando Valley, you have the privilege of contacting one of the most experienced and creative landscaping specialists in the area – Gonzalez Landscaping & Tree Service. They have a team of specialists to visit your property and get you the green turf you were dreaming of. Over the past period, they have handled various projects for the entire satisfaction of the clients. Having considered your convenience, they are ready to offer you a FREE QUOTE! Just call them on (805) 573-0809 to get your free quote today.